Don’t take this Cleric guide on faith alone. 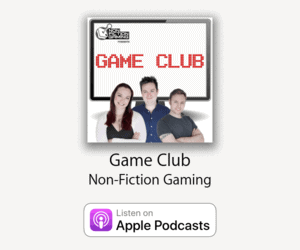 5th Edition Dungeons & Dragons has different play styles for everybody. Below we’ve put together a guide taking into account the schisms of beliefs. The Cleric has been around since the beginning. Up there with: Fighting-Man, Magic-User and Cleric. 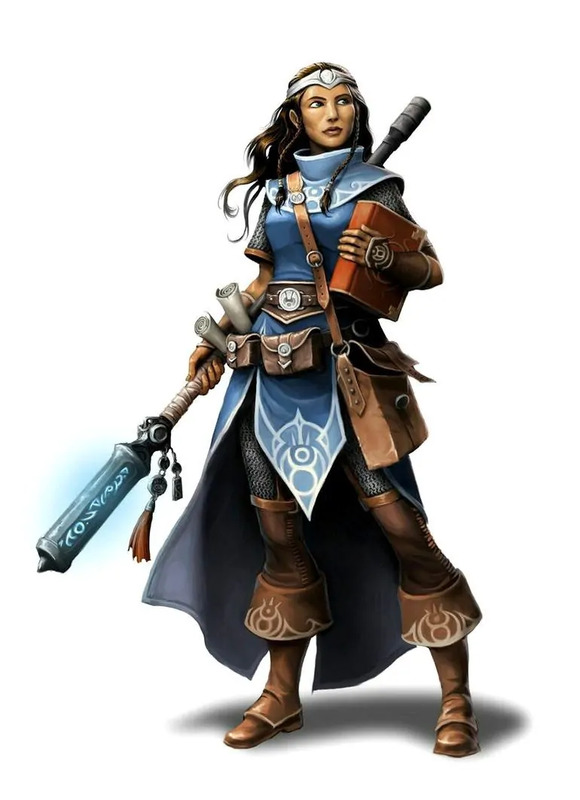 With it’s long history comes many iterations of the class, though the Cleric has most often been a mix of Fighting and Magic. 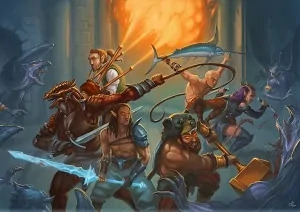 At first glance you may think this class is just there to heal the party. There’s so much more to the 5E Cleric than that. 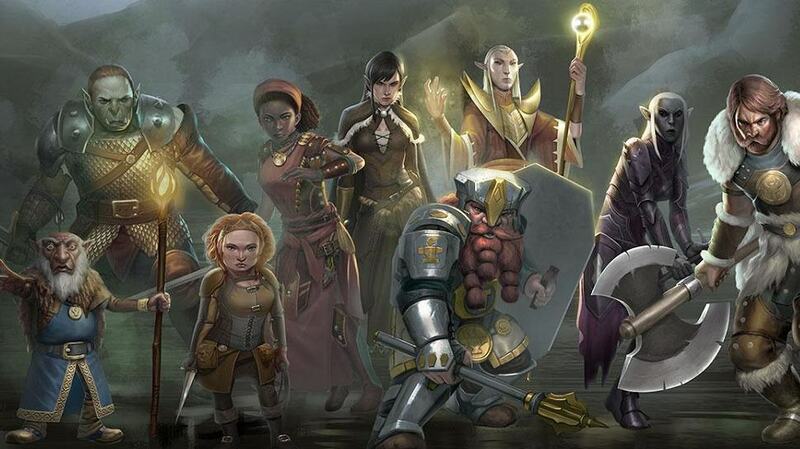 When we go into the many Cleric sub-classes below, you’ll get an idea of the variety of god botherers available. Sky Blue = Top choice, Pray a little before dismissing these. Cleric optimisation starts here. Blue = Very strong choice for Clerics, but not amazing. Remember that this is an optimisation guide. We’re looking at what is strong or effective for your Cleric devout. Str: You’ll choose between Str and Dex depending if you’re a Heavily-armoured vs Lightly-armoured Cleric. Heavily-armoured Clerics can afford more Strength since they dump Dexterity, and they are better-equipped to survive in melee. Medium-armoured Clerics may want to dump Strength and stick to spell casting unless they also get proficiency with Rapiers. Dex: For the Finesse or Trickster Clerics with light armour need Dexterity for AC and for their weapons. Medium-armoured Clerics should try to have 14 to boost their AC. Heavily-armoured Clerics can dump Dexterity. Con: Hit points are often second or third most important for a Cleric. If you go down who’s going to get you back up? Int: Only really useful if you’re a Knowledge Cleric, everyone else can dump this. Wis: Top priority or second depending on your domain. This is your spell casting attribute. You channel divinity and more keys off your wisdom. Cha: You can probably dump Charisma unless you need to serve as a Face. Ideally someone else should step up here though. Wisdom is crucial, but other abilities depend on your build and your choice of Divine Domain. Not many of the races have more than +1 to Wisdom, so you’ll have to take what you can get. The Stat bonuses will be more useful in the early game and will even out once you get a few levels and Ability Score Improvements. Your main focus should be looking for a race with some + to Wisdom. Dwarf: [+2 Con] For Moradin! Dwarfs are very durable, and have stats that line up well for a Cleric. Mountain Dwarf [+2 Str] As a battle dwarf the Strength bonus could come in handy for swinging big weapons. Could make a good War or Tempest Domain cleric. Hill Dwarf [+1 Wis] That additional wisdom and durability make for an excellent Cleric pairing. Considered a decent Life Cleric. Dragonborn [+2 Str, +1 Cha] The breath weapon is a good AoE attack, however there’s nothing much here for you. Elf [+2 Dex] If you’re working towards a lightly armoured Cleric a Wood elf is the only thing to consider here. Other Elf sub races leave a lot to be desired. Wood Elf [+1 Wis] The coveted boost to Wisdom helps here plus some weapon proficiency. This lets you use that Dexterity with a Finesse weapon. The Mask of the Wild feature is useful if you spend a lot of time in weird weather conditions, this will depend on your DM and campaign. Drow [+1 Cha] Nothing useful for the Cleric. High Elf [+1 Int] Like all Elves, High Elves get Trance, proficiency with Perception checks, and a DEX boost. You won’t need the INT or the cantrip, though, and the weapon training is wasted. Gnome [+2 Int] Nothing useful for the Cleric. Forest Gnome [+1 Dex], Gnome Cunning is awesome, and you get a DEX boost, but INT is your dump stat, and you don’t get much use out of anything else. Rock Gnome [+ 1 Con]. No appropriate stat bonuses, nothing that says cleric at all. Half-Elf: [+2 Cha, and +1 to ???] A good combination of Human and Elf, however the CHA is mostly wasted on you. Half-Orc: [+2 STR] Relentless endurance can help in a pinch to prevent the healer (You) going down. Nothing specifically useful for the Cleric, though STR-based War or Conquest Cleric may look here. Halfling [+2 Dex] Another race option that benefits DEX Clerics, Ghostwise halfling being the main consideration. Stout Halfling [+1 Con] Like Lightfoot, but without a boost to CHA. Still, Con isn’t bad, and neither is resistance to poison. Lightfoot Halflings[+1 Cha] Nothing useful for the Cleric. Luck is awesome. Brave is awesome. Hiding isn’t bad, but you’re likely not great at it. Human [+1 to All scores], Plus one to every stat? Some of this is wasted, ask your DM if Variant Human is available. Variant Human [+1 to Wis and a feat] If Human Variant is allowed, You still get crucial bonus to your Wisdom and something else, and you can get an awesome feat at level 1. Tiefling [+1 Int and +2 Cha] Neither of these things are good for you. There are a number of new Tiefling types and none of them offer you much. 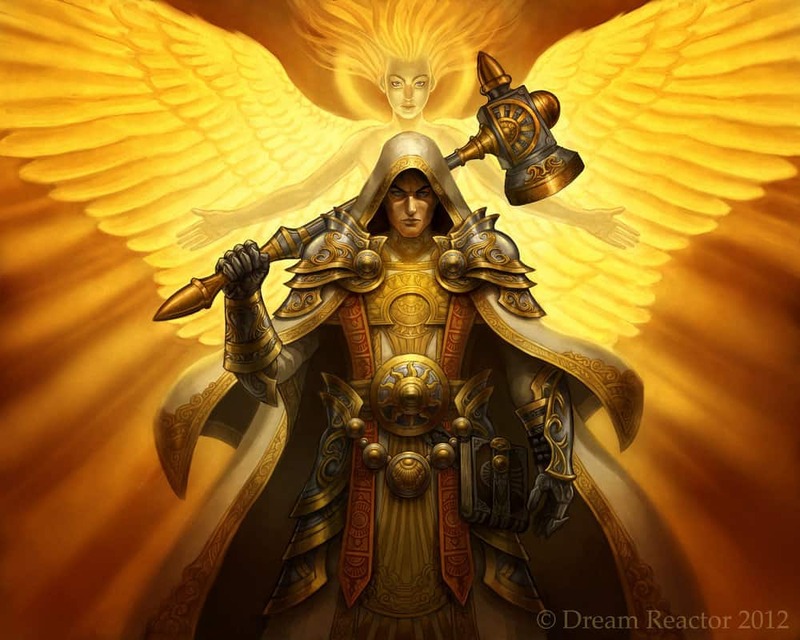 Aasimar [+1 Wis & +2 Cha] Charisma doesn’t do much for a cleric, but the flavour works very well, and the Aasimar’s other racial traits and their sub-races work for a variety of cleric builds. Goliath: Nothing specifically useful for the Cleric. Kenku: [+2 DEX and +1 Wis] Potentially a good trickery cleric, but Dexterity can be hard for a cleric to use. Lizardfolk: [+2 CON and +1 WIS] Durable, extra skills, and some other useful traits. Excellent for any kind of cleric. Tabaxi: Nothing useful for the Cleric. Triton: Nothing useful for the Cleric. Bugbear: [+2 STR and +1 DEX] You’d want one but not both of these boosts. Goblin: [+2 DEX and +1 CON] Not a great choice at all. Hobgoblin: [+2 CON and +1 INT] Keep looking. Kobold: [+2 DEX and -2 STR] I’d love to see it played, but it will not be optimal in any way. Orc: [+2 STR and +1 CON, -2 INT] The INT penalty doesn’t hurt you, but there are better choices. Yuan-Ti Pureblood: [+2 CHA and +1 INT] Everything you don’t need here. Aarakocra: [+2 Dex] Dexterity and a bit of Wisdom are great for a lightly-armoured Cleric, and flight is always fantastic. Genasi: [+2 Con] The Constitution bonus matches that of the Dwarf, but Genasi don’t get any other base racial abilities. Air Genasi: [+1 Dex] The Constitution bonus matches that of the Dwarf, but Genasi don’t get any other base racial abilities. Earth Genasi: [+1 Str] Nothing sspecifically useful for the Cleric. Fire Genasi: [+1 Int] Nothing useful for the Cleric. Water Genasi: [+1 Wis] A bit of Wisdom, and access to Shape Water, which is one of my absolute favorite Cantrips. Changeling: [+2 CHA +1 DEX/INT] Shape changing gives you amazing potential as a Lore or Whispers Bard. Shifters: [+1 DEX] These shifters are more rough and ready physical races. The proficiency with perception is a great skill to get up front. Beasthide Shifter: [+2 CON] The bonuses to AC, CON, and DEX make a decent light armoured option. Longtooth Shifter: [+2 STR] If you’re going for STR the DEX is useless. So not ideal. Swiftstride Shifter: [+1 DEX and +1 CHA] Pure DEX with a bonus attack. Not terrible. Wildhunt Shifter: [+2 WIS] The + WIS is pretty huge. The other tracking stuff is situational. Envoy: [+1 two Stats] Get the +WIS and make you integrated tool some kind of doctor’s kit. Hit Dice: d8 hit points is average. It’s not bad if you’re hanging back and casting spells. This is a little low for a front line warrior of the church. Armour Proficiency: Medium armour is decent for most Clerics. Throw in a shield and you’ll have decent AC. Weapon Proficiency: You’re not here to get fancy… you can get Military weapons in other ways. Your spells will out scale your weapons after a while anyway. Saving Throws: Wisdom and Charisma are solid saves to have proficiency in. These saves cover some of the most debilitating effects in the game. Skills: Two skills, the party wont be looking to you for skills. Tools: Clerics don’t get any tools. Spellcasting: The Cleric slings spells based on Wisdom. 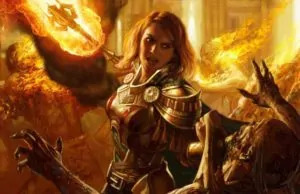 You don’t need to stick with the same old spells every day, with the waking of the dawn you can choose your spells based on the Cleric’s spell list. This gives you amazing utility especially if you’ve got a day or two to prepare. Depending on your Divine Domain you’ll receive more ‘free’ prepared spells, this opens up the way you can play like nothing else. The Cleric spell list runs the entire spectrum of healing, hurting, control and buffs. Ritual Casting: Allows you to cast many utility spells without actually using slots. Although unlike the Wizard, you need to have the spells prepared. Channel Divinity: In a campaign where Undead are a feature this is the kind of godly power they write scriptures about. You’ll also receive more uses for Channel Divinity from your Divine Domain choice. Destroy Undead: (5th, 8th, 11th, 14th, 17th Level) As with above, this depends on how much Undead your DM is throwing at you. Undead are pretty common though and when they show up you’ll have the perfect tool. Divine Intervention: (10th, 20th Level) A little dicey in terms of chance, but there’s great storytelling and clutch moments with this ability. You’ll need to work with your DM to determine the exact impact of the ability, but if your DM is open-minded you can get away with something very exciting. Domain Spells: Some very good options, including some great utilities, but also a few options which you will almost never need. 1st-Level [detect magic, magic missile]: Detect Magic is useful in almost every campaign. Magic Missile offers reliable damage but it’s never too exciting. 3rd-Level[magic weapon, Nystul’s magic aura]: Magic Weapon is helpful in that small window where you start needing magical weapons to hurt monsters but before everyone already has one. The magical aura may find use in political intrigue campaigns. 5th-Level [dispel magic, magic circle]: Dispel Magic will always find a use, especially as you come across deadlier magical dungeons. Magic Circle takes time to cast but can be a great way to hold off certain enemy types. 7th-Level [arcane eye, Leomund’s secret chest]: Arcane Eye is amazing at scouting areas and keeping you safe, though this is what you’d normally have a familiar do. Secret chest has more uses in intrigue campaigns, ones where enemies are after your items or the DM keeps trying to disarm you before entering the king’s court. 9th-Level [planar binding, teleportation circle]: Planar binding is great if you can figure out how to get the creature to stand still for 1 hour. Teleportation circle allows you to bust open a mini-gate to travel to fixed teleport circles you are familiar with. Great if you have a home base or magical allies. Both of these really depend on the campaign you’re in. Arcane Initiate [1st level]: If you’re the ‘Arcane’ one you’re going to need the Arcana skill. Two extra cantrips from the wizard list don’t go astray either, bolstering your lower level utility. Channel Divinity: Arcane Abjuration [2nd, 5th level]: Turning a creature (Celestials, Elementals, Fey, and Fiends) is powerful, and this is a wide range of the monster manual. Use this on the biggest baddest thing in the room and deal with everything else first. At 5th level this banishes a creature back to where they came. Spell Breaker [6th level]: An excellent way of removing debuffs as a Bonus Action if you’re using Healing Word (and you should). Potent Spellcasting [8th level]: This is already great for most Clerics, but it’s especially good for the Arcane Cleric because your free Wizard cantrips are treated as Cleric Cantrips, so they get the bonus damage too! Arcane Mastery [17th level]: This opens up a huge array of options. Read through a Wizard Guide to see what your options are. Time to get offensive. Grab a scythe and start wading into enemies. Death adds martial weapon proficiency and a lot of options for dealing single-target damage. You won’t be helping your party members much with this domain however. Domain Spells: Some quality options here, some of which aren’t on the Cleric spell list. Spells at 3rd-Level are a bit lacklustre but they can’t all be winners. 1st-Level [false life, ray of sickness]: Kind of like healing word put not real healing. You’re a little harder to kill but deadening an enemy or inflicting disadvantage will help the team more. Ray of Sickness pumps out some nice damage but the real winner in inflicting the Poisoned condition on an enemy. Take note of what enemies are resistant or immune to poison though. 3rd-Level [blindness/deafness, ray of enfeeblement] Both of the effects last only a minute, and allow repeated saves. Unless you can almost guarantee that the target will fail their save, these aren’t reliable debuffs. 5th-Level [animate dead, vampiric touch]: Animate Dead lets you get an undead buddy, requires re-casting each day but you get to prepare it for free. Vampiric Touch solves two problems at once, the enemy has health and you need it. 7th-Level [blight, death ward]: Blight is an OK source of damage, especially against plants (and possibly water elemental), but doesn’t scale amazingly well. Death Ward lets you give the Half-Orc ability to avoid death once. 9th-Level [antilife shell, cloudkill]: Anti-life Shell is a great form of protection. Cloudkill is an excellent control spell with a massive range and radius. Bonus Proficiency: Martial weapons are a solid boost, though without Heavy Armour you may wish to get reach or keep a shield handy. Consider getting a Halberd and calling it a “Reaper’s Scythe”. Reaper: Currently the only choices are Chill Touch, Spare the Dying and Toll of the Dead. Either Chill Touch or Toll of the Dead are good choices if you’re looking for more damage. Channel Divinity: Touch of Death: This really isn’t a lot of damage but it helps bolster your weapon hits. Inescapable Destruction: Consider you probably took Chill Touch or Toll of the Dead, and many of your spells will deal Necrotic damage, resistance to Necrotic damage is a huge problem which this completely removes. Immunity is still and issue, but complete immunity to necrotic damage is rare, and generally limited to very high level creatures, many of which you will probably be friends with (Liches, etc.). Divine Strike: This will help keep your melee damage on par with your cantrips, and since you ignore resistance to Necrotic damage, you almost never need to worry about damage types. Improved Reaper: Many powerful Necromancy spells like Blight and Finger of Death are single-target. The ability to affect two targets with one casting doubles their effectiveness. Thematically awesome and a solid spell list. 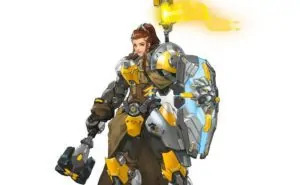 You’re a tank and a half with the ability to craft and augment gear. The support utility you bring to the table is excellent and you can defend with the best of them. Your party will love having you around. Forge Domain Clerics make good Defenders, and you don’t skimp on the damage either. Domain Spells: Stoke the coals! There’s a lot of heat coming from the Forge Domain’s spell list. I’m a big fan of how these thematically tie into the Forge. A master crafter and good with heating metal there aren’t many duds in your domain list. 1st-Level [identify, searing smite]: When your DM does put magic items in your path the party is going to ask the Forge Master/Mistress to take a look. Searing Smite adds some much loved fire damage to your hits. No longer is this only for the Paladin. At high levels, it remains a cheap and reliable damage boost for your weapon attacks. 3rd-Level [heat metal, magic weapon]: Heat Metal is great against armoured enemies, Magic Weapon fills a good niche of buffing yourself or an ally though it runs out of steam once everyone has magic items. 5th-Level [elemental weapon, protection from energy]: Elemental weapon is only a minor boost on magic weapon, the extra damage is helpful if your enemy is weak to an element. Protection from energy can save someones Bacon when you’re up against a dragon, solid spell here. 7th-Level [fabricate, wall of fire]: A little situational especially as you have Artisan’s Blessing. With the right imagination this could be better. 9th-Level [animate objects, creation]: Bring an army of magical statues to life. Win at life-size wizard’s chess. So many options. Both spells are fantastic. Bonus Proficiency: It’s nice to get Heavy Armour, you may even be able to make full Plate a lot cheaper if you ask your DM nicely. Blessing of the Forge [1st level]: This is even stronger in a low magic item game. There are few extra ways to boost AC so the Plate wearing Paladin will be your new best friend for this one. Alternately give it to the member of your party that makes the most attacks each turn. Channel Divinity: Artisan’s Blessing [2nd Level]: You’re only limited by your imagination (and the 100g pricetag) here. Start reading chapter 5 of the Players Handbook for “Equipment”. Make the tool for the situation at hand. Soul of the Forge [6th level]: Fire resistance is nice and all but the main thing we like here is the fixed bonus to AC like this is extremely rare boost in 5e. Divine Strike [8th level]: No action required, free bonus fire damage. You should be sensing the theme by now. Combines very well with Searing Smite. Saint of Forge and Fire [17th level]: Immunity to fire and resistance to nonmagical hits when wearing your Heavy Armour. You’ll never take it of again! For the cleric who wants to sling spells and find the balance between healing and damage, the Grave Domain strikes an interesting balance between offensive and healing options. Most of the abilities are good, but there are a handful of very weak abilities thrown into the mix. Domain Spells: Excellent, with a handful of spells that won’t be especially useful on a regular basis. 1st-Level: False Life provides temporary hit points for an hour. As a 1st-level spell it will eventually become a trivial expenditure of your daily spellcasting. When you get to high levels, casting this before and after every fight is a great use of a spell slot. Oh, and you get some other spell that’s already on your spell list that I don’t care for. 3rd-Level: Both spells are situational, and neither is particularly good. 5th-Level: Revivify is a cleric tax, and every cleric should take it because it’s too good to not do so. Vampiric Touch is a great option if you get dragged into melee, but try to avoid needing it. 7th-Level: A decent damage option that’s not on the Cleric spell list, and a crucial buff with a nice, long duration. 9th-Level: Anti-life Shell is a fantastic defensive option which will keep melee enemies at bay while you kill them with ranged spells. Saddling you with Raise Dead every day is pointless. Circle of Mortality: Preventing death just got even easier. This makes Cure Wounds more appealing than Healing Word when an ally hits 0 hit points. If an ally is very low you might consider beating them unconscious before healing them. Eyes of the Grave: Send out a ping to detect undead like some kind of sonar. Very situational depending on the campaign and layout of where you are. Channel Divinity: Path to the Grave: Your party’s Rogue will love this if you can set up a one-two combo ahead of a sneak attack. Sentinel at Death’s Door: Massive damage prevented is far greater than damage healed. Plus there aren’t many other ways to mitigate critical hits, this is a huge ability. Potent Spellcasting: Not a ton of damage, but a welcome boost for your go-to combat options. Keeper of Souls: This probably won’t provide a significant amount of healing, but it’s a fun passive ability and it might even allow you to rescue an ally at 0 hit points without cutting into your actions on your turn (Remember if they’re at 0 hit points the healing dice gets maxed). Knowledge provides some very good abilities, and a lot of great options for gathering information by mundane, magical, and potentially meta-game means. Unfortunately, the spell list is disappointing, and doesn’t provide many options which will see frequent use. Domain Spells: A handful of good divination spells, those not already on your list are: identify, suggestion, non-detection, arcane eye, and confusion. Some of these spells are OK. Nothing stands out as staggering. 1st-Level: Command can be very helpful if you use the right command, but Identify is very situational, and you can generally wait to identify things until you can take a long rest. 3rd-Level: Suggestion is a great way to handle a lot of problems if you use it well. Augury is easily on of my favourite divination, though it takes a bit of practice and familiarity with your DM to really make it work. If your group is ever stuck arguing about how to proceed, Augury and be used to quickly narrow your possibilities by eliminating options which yield “woe” results. 5th-Level: Both options are very situational. 7th-Level: Arcane eye is a very effective way to scout nearby areas which might be dangerous or difficult to access normally. Confusion is a difficult spell to use, but if your targets will reliably fail the Wisdom saving throw, they lose 80% of their turns for the duration. 9th-Level: Legend Lore and Scrying are very situational options which see infrequent use, and can nearly always wait for you to take a long rest to prepare them on the rare occasions that you need them. Blessings of Knowledge: Two languages are nice, but quickly stop mattering when you gain access to Tongues. The two free Knowledge skills are much more important, especially since you get to add twice your proficiency bonus. Channel Divinity: Knowledge of the Ages: Gain proficiency in a skill or tool for 10 minutes. This is a fantastic utility ability. Forgot to bring a Rogue? Grab some thieves tools. Channel Divinity: Read Thoughts: Reading minds is situationally useful, but Suggestion can be very effective. Potent Spellcasting: By this level you can easily have 20 Wisdom, giving an impressive boost to your damage output. Better then the weapon proficiency, since you don’t need 2 stats. Visions of the Past: Knowing the past isn’t as useful as knowing the future, or the present. But it’s still at-will. This is very hard to analyse, depends on your DM. If your party asked you to heal, you will be the best at it here. Magical healing is one of the Cleric’s most important functions, and no Cleric can compete with the Life Cleric’s capacity for healing. The addition of heavy armour means you’ll be hardy and tough too. Domain Spells: The lower level spells are amazing, and your party may effectively be invincible compared to other groups. Unfortunately, the high level options are less useful. 1st-Level: Nearly every Cleric will take these spells. Cure Wounds is basically required to survive any game of DnD, and Bless is nearly a win condition at low levels where adding 1d4 to a roll can exceed your proficiency bonus. 3rd-Level: Lesser Restoration is nice to have handy, but much of the time the effects which it removes can wait until you can rest and prepare spells to fix them. Spiritual Weapon is a great way to handle things like ghosts, and to use your Bonus Action. Of course, Life Clerics will typically take Word of Healing, so much of the time your Bonus Action will be dedicated to healing. 5th-Level: Beacon of Hope is situational, but can be nice to cast before a rest to maximize the effectiveness of your healing spells. Revivify is the “Cleric Tax”, so getting it for free is really nice. 7th-Level: Two interesting options with 8 hour durations. 9th-Level: Both situational options, and you already have better options which will solve the same problems. Bonus Proficiency: With heavy armour and a shield, you can work on the front lines as well as any Fighter. The improved AC will also help to reduce the need to heal yourself instead of healing or supporting your allies. Disciple of Life: This isn’t a ton of healing, but it will be especially useful with Word of Healing, which is a good choice because it uses a Bonus Action, but normally doesn’t heal for a particularly large amount. 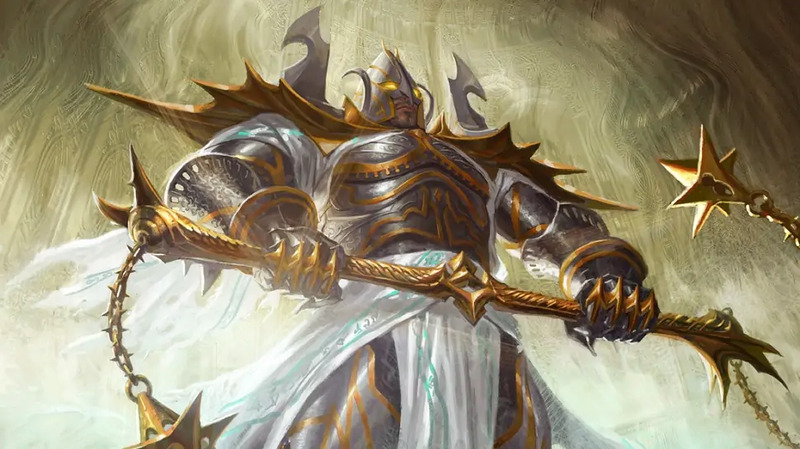 Channel Divinity: Preserve Life: Fantastic when you’re looking at a possible TPK. Since you’re healing so much, most characters of your level will go from 0 to half hit points, unless you’re looking at someone like a Barbarian with d12 hit dice and 20 Constitution. Blessed Healer: Coupled with your excellent AC, there is now almost never a reason to cast a healing spell on yourself instead of helping your allies. Divine Strike: Clerics don’t get Extra Attack, so your weapon damage will start falling behind somewhere around level 5. Divine Strike does a little bit to help, but you may still find that your cantrips do more damage, and you certainly can’t expect to keep pace with more martial classes like Fighters or Paladins. Supreme Healing: As you add more and more dice, your rolls will skew toward the statistical average, meaning that each d8 from Cure Wounds is effectively 4.5 points of healing. Maximizing the die improves this to 8 points of healing, almost doubling the effects of your healing spells. The Light Cleric is a Controller and a Striker, specializing in dealing damage both to single targets and to areas. Clerics already have the best Radiant damage spells in the game, and the Light domain supplements those spells with some of the best Fire damage spells. 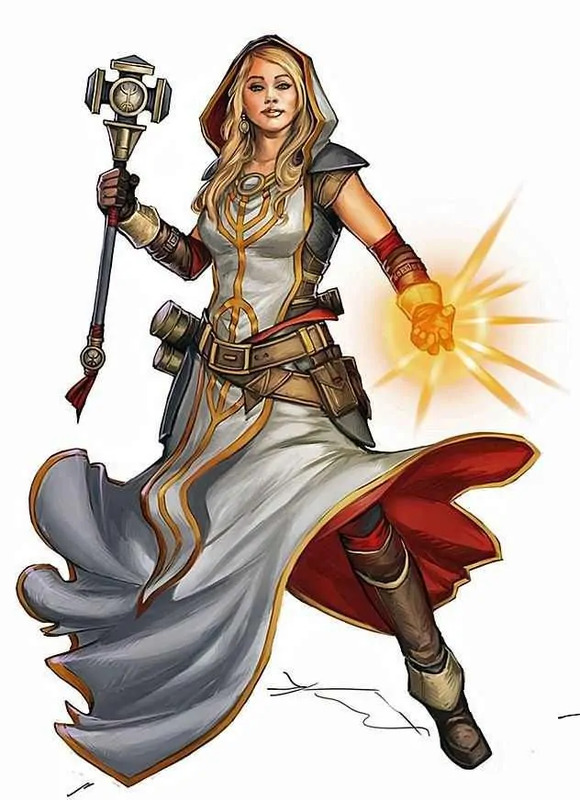 If your party doesn’t have room for both a Cleric and a Wizard, the Light domain is a good choice because you can so easily replace the Wizard’s ability to quickly handle groups of weak enemies. Domain Spells: A fantastic set of offensive spells which close the gap between Clerics and Wizards. 1st-Level: Faerie Fire is a great way to handle invisible creatures, but it’s hard to justify preparing it every day. Fortunately, you get it prepared for free. Burning Hands is also a great low-level AOE damage spell, but resist the urge to burn all of your spell slots casting it or you won’t have any slots to heal with. 3rd-Level: Both spells are extremely efficient ways to use your spell slots for damage, but they don’t work well against multiple targets. 5th-Level: Daylight is situational, but Fireball is the sledgehammer of offensive spells: sometimes you just need to hit your problems until they fall down. 7th-Level: Excellent area control options. 9th-Level: Flame Strike is considerably less important since you get Fireball, and Scrying is situational. Bonus Cantrip: Not spectacular, but a Light Cleric really should have light, and someone in every party should be able to cast it. Warding Flare: You won’t get a ton of uses, so save this for enemies which can do a lot of damage. Channel Divinity: Radiance of the Dawn: A friendly, if slightly weak AoE. Scales reasonably. The damage isn’t great, but magical darkness can really cause problems, and a guaranteed way to remove it is very convenient. Improved Flare: Fantastic if you have allies who are squishier than you like a Wizard, or if you need to buy time until you can heal someone. Potent Spellcasting: By this level you can easily have 20 Wisdom, giving an impressive boost to your damage output. Note that this only applies to Cleric cantrips, so you can’t use it in conjunction with Magic Initiate. Corona of Light: While disadvantage on saves is normally powerful, this only applies to spells that do 1/2 on a miss anyways (and it doesn’t apply to scorching ray). Better if you have allies who also sling fire/radiant spells. It’s essentially an overdrive button for your fire and radiant damage spells, which is especially nice with the Light domain’s Domain Spells. Nature provides a lacklustre spell list, and a Channel Divinity ability which only functions against a small sliver of the monster manual. Most of the features revolve around beasts and plants, making this somewhat campaign dependent. Domain Spells: The nature spell list includes no truly fantastic options, and most of the options are either situational or outright bad. 1st-Level: Both spells are very situational. 3rd-Level: Barkskin isn’t worth your Concentration, but dropping Spike Growth on or in front of a troublesome enemy can be an excellent deterrent. 5th-Level: Plant Growth is an interesting area control spell, and a great way to make hedge mazes or befriend farmers. Wind wall is situational. 7th-Level: Both are very situational. Grasping Vine seems like it should be a great single-target crowd control effect, but it doesn’t actually prevent the target from moving out of the vine’s 30 foot range, so it quickly loses effectiveness. 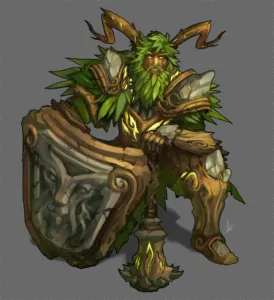 9th-Level: Insect Plague is a good crowd control option, and Tree Stride is a fun long-range travel option for Clerics, who typically last options like Teleport. Acolyte of Nature: Druids have some fantastic cantrips, including some great utility options which are usually exclusive to Druids. The bonus skill is nice, too. Channel Divinity: Charm Animals and Plants: Very situational. Dampen Elements: This is insanely useful. Divine Strike: Considerably better than the Life Cleric’s version. Note that you get to choose the damage type every time you hit, so you can easily switch energy types as the need strikes. Master of Nature: Very situational. Tempest is very offensive, falling somewhere between Life’s durability and Light’s damage output. Like the light cleric, adding damage really helps shore up a weakness with the cleric. Tempest’s abilities and spells provide several fun crowd control and area control options. 1st-Level: Fog cloud is a great escape or crowd control mechanism, and Thunder-wave is great for when you get in over your head in melee and need to buy yourself some space. 3rd-Level: Both spells are very situational. 5th-Level: Sleet storm is a mediocre crowd control spell, but Call Lightning is really great. You can start your cloud at the beginning of a fight, and spend the next 10 minutes killing things with a single spell slot. Since the damage scales at 1d10 per spell level, it remains viable into high levels. 7th-Level: Ice storm combines decent damage with a small crowd-control effect, but Control Water is only useful on those rare days when you have a large body of water handy. 9th-Level: Destructive Wave does excellent damage of types which are very rarely resisted, and Insect Plague is a fantastic area control option. Bonus Proficiency: Heavy armour is great on a Cleric, and Martial Weapons add a few more combat options. With heavy armour and coupled with Wrath of the Storm, you might even consider pickup up a 2-handed weapon. Wrath of the Storm: At low level this will outright kill enemies. At high levels it’s a mild deterrent, but hopefully won’t get used much because you should have excellent AC. Channel Divinity: Destructive Wrath: Great for when you absolutely, positively need to Thunder-wave every enemy in the room. Don’t be tempted to use this with Wrath of the Storm; that’s a tragic waste of a great ability. Thunderbolt Strike: This combines well with Wrath of the Storm when you need to get out of melee for whatever reason, and as far as I can tell it stacks with Thunderwave’s push effect. Divine Strike: Thunder is one of those handful of energy types that almost nothing is resistant or immune to, so it’s a great option. However, you can’t shift energy types to gain bonus damage like a Nature Cleric, and you won’t get bonus damage against undead like a Life Cleric. Stormborn: Near-permanent flight! Flight is absolutely crucial at high levels, and getting it this easily can free up resources for more exciting things. Trickery offers a great spell list, but the class abilities aren’t very good. Domain Spells: Lots of really fun options, many of which aren’t normally available to Clerics. 1st-Level: Disguise Self and Charm Person can diffuse quite a few social situations, but Charm Person can’t completely replace a real Face. 3rd-Level: Mirror Image is arguably better than having a decent AC, and Pass Without a Trace turns a party of stompy Fighters into a roaming ball of quiet murder. 5th-Level: Blink gives you a 50% chance to be untargetable between turns, which is great since you’re probably your parties healer, so it costs you very little be untargetable by allies. Dispel Magic is situational, but its so useful that not preparing it can often be a lethal mistake. 7th-Level: Dimension Door is situational, but very effective. Polymorph is one of the most versatile effects in the game, and call allow you to solve a wide variety of problems with the right beast form. 9th-Level: Modify Memory is situational, but Dominate Person is a great way to turn a powerful enemy into a fun pet for up to a minute. Blessing of the Trickster: You can’t use this on yourself, so use it on whoever in your party is making a ton of noise stomping around in heavy armour. Channel Divinity: Invoke Duplicity: This can be difficult to use effectively, but once you get your head around it, it’s very potent. Channel Divinity: Cloak of Shadows: Invisibility is great, but one round just isn’t enough. Divine Strike: A lot of things have resistance to poison, but nothing has weakness to poison. Still, much of the time the damage poison will be very helpful. Improved Duplicity: This allows you to keep duplicates near all of your allies to buff or heal them with touch range spells, or to keep your enemies very confused. The War Cleric reduces the gap between the Cleric and the Paladin, emphasising front-line martial prowess a bit more than spellcasting. While this is a fun concept with several great options, it’s often difficult to use the War domains options in conjunction because so many of them depend on Concentration and/or Bonus Actions. Domain Spells: Many really fantastic options, but more than half of the domain spells require Concentration, which makes it hard to use more then one or two in a fight. 1st-Level: Divine Favor won’t remain useful beyond low levels, but at low level it’s a nice bit of extra damage with a decent duration that costs a swift action to cast. Shield of Faith will remain useful at every level. +2 AC is big in 5e, and 10 minutes is a fantastic duration for a spell slot. However, it requires Concentration, which means that you can’t combine it with other great low-level buffs like Bless. 3rd-Level: Since Magic Weapon requires Concentration, you generally only want to use it if you lack permanent magical weapons, and only against enemies that resist non-magical weapons. Spiritual Weapon is a great way to convert your Bonus Action into damage output. 5th-Level: Crusader’s Mantle is Divine Favor for the whole party. The damage is still small, but if you have someone using Two-Weapon Fighting, or someone with Extra Attacks, it gets a bit better. Spirit Guardians is a great way to either keep enemies away from you, or to wear down enemies who aren’t able to move away from you fast enough to stay out of the aura. If you’re facing something that likes to grapple, turn this on and go get friendly. 7th-Level: Stoneskin is a fantastic buff, especially since gold isn’t particularly useful in 5e, but won’t help you once you get Avatar of Battle. Freedom of movement is very situationally useful. 9th-Level: Flame Strike is a fantastic damage spell, and Hold Monster is a great way to remove an enemy from a fight. Bonus Proficiency: Heavy armour is great on a Cleric, and Martial Weapons add a few more combat options. War Priest: As many as five extra attacks per day! This is terribly disappointing. Channel Divinity: Guided Strike: It’s pretty rare that your attacks are crucial enough to justify using this, but sometimes you just really need to hit something once. Channel Divinity: War God’s Blessing: While Clerics don’t typically deal a huge amount of damage on their attacks, allies like Rogues certainly do, and when they miss their one attack for the round a +10 can really change the outcome of a fight. Divine Strike: While not as flashy as the Nature Cleric’s version of Divine Strike, the ability to deal the same damage as your weapon allows you to change damage types with relative ease by changing weapons. Avatar of Battle: Most damage of those types comes from non-magical weapons or from monsters with non-magical body parts. Final Thoughts: The Cleric Domain you’ll choose really comes down to the role you wish to play. If you want to buff up and keep the party alive you can’t go past the Life Domain. The Forge Domain has incredible utility and buffing capability. Clerics are looking for a skills to go with their high Wisdom, so skills like Insight and Perception are your bread and butter. Other skills and benefits may work as part of your character concept though. Don’t stress too much about optimisation for Backgrounds. Acolyte: Seen as the default Cleric background. Insight is great for the Cleric and Religion seems obvious though it’s based on Intelligence (likely your dump stat). Bonus languages are nice at low levels if you’ve got lots of infidels to convert. Charlatan: This is for the clerics who are using their dexterity. If you also put some points into Charisma you have some nice skill options that are not on the main list. Plus you get proficiency in a couple of tools that depending on the campaign can be cool or useless. City Watch: Insight is great, but Athletics is hard for Clerics don’t have a great Strength score. Cloistered Scholar: Could be good for a Knowledge domain, others may struggle to make this worth while. Courtier: Insight and Persuasion are great if you get stuck playing the Face, and the bonus languages will be great until you can use Tongues. Criminal: A Trickery Cleric with decent Dexterity could use this to partially replace a Rogue in the party. Entertainer If you want to have agility and fight with dexterity this could work. Faction Agent: Insight is great, and the free mental skill will let you pick up Perception or whatever other skill you decide you need. The bonus languages will be great until you can use Tongues. Far Traveller: Perfect skills and a free language, but gaming sets and instruments aren’t terribly useful. Folk Hero: Two skills that are not on your list, and that you should be good with. A set of Artisan’s tools and land vehicles. Not too shabby. Guild Artisan: Not a bad choice, but Artisan’s tools aren’t particularly useful so Acolyte is better. Hermit: Medicine isn’t amazing but it can come in handy. Medicine and Insight both capitalise on your Wisdom and the Herbalism Kit allows you to make healing potions. Noble: Persuasion and a Language are fine, but half of the background is wasted. Outlander: Here is the first not too bad background for clerics who want to beat things with a big weapon. Since you are going strength Athletics and Survival will both be good skills for you. Sage: Knowledge skills are hard for most Clerics, but if you put some resources into Intelligence you have the ability to get 4 knowledge skills. Sailor: If you are a strength cleric this is a very good background. Athletics and Perception both will be good skills for you. Urban Bounty Hunter: A Trickery Cleric with decent Dexterity could use this to partially replace a Rogue in the party. Criminal and Urchin are probably better. Urchin: A Trickery Cleric with decent Dexterity could use this to partially replace a Rogue in the party. Having two stats that you want top notch is not going to leave a lot of room for feats. The Nature cleric, who can become single stat dependent can have more feats. Assuming that you are using a point buy, most clerics will not get more than 2 feat if that. Alert : +5 to initiative and you can’t be surprised. Going first isn’t always important but it helps. Athlete : You get some nice movement abilities and it still bumps your attack stat, no matter which one you choose. Actor : Trickery Clerics might enjoy this. Charger : You have spells to sling if you’re not in range yet. Crossbow Expert : Maybe a Dexterity fighting cleric who wants to fight with two hand crossbows might put this to use. Since most of the attack spells on the Cleric list are saves, nothing else should pique your interest. 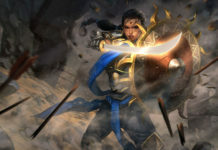 Defensive Duelist : Most Clerics won’t use Finesse weapons, and the ones who do have plenty of options to boost their AC. Dual Wielder: You won’t use the Attack action enough to justify two-weapon fighting, and you need a shield for the AC bonus. Dungeon Delver: Traps should be handled by someone with Thieves Tools proficiency. Elemental Adept: Most Cleric spells that deal damage deal either Necrotic or Radiant damage, both of which are very rarely resisted. However, some domains like the Light domain offer access to damage types which can take advantage of Elemental Adept. Grappler: Grappling isn’t a great option for Clerics. Great Weapon Master: Very few Clerics can manage a two-handed weapon successfully, and it’s unlikely that your attack bonus will be good enough to suffer the -5 penalty. Healer: If your DM gives you frequent access to Healer’s Kits this is basically like paying money for a few extra first level spells per day. Usually not necessary, but worth considering for some. Heavily Armoured: If you want heavy armour, pick a domain which gives it to you. Heavy Armour Master: For those of you who have heavy armour proficiency this isn’t a bad one to pick up. One exception would be the War domain folks. You 17th level feature actually makes this worse as you apply modifiers to damage before you half the damage. Inspiring Leader: If you have decent Charisma, this can be a great way to supplement your healing abilities and reduce the need for you to heal your allies in combat. Keen Mind: Nothing useful for the Cleric. Lightly armoured: You have this already. Linguist: Again intelligence bump. Also you have Comprehend Languages and Tongues. Lucky: Basically getting advantage three time per day (or giving an enemy disadvantage) can be bad. Magic Initiate: Clerics get all of the spells they need, including Cantrips. If you want Cantrips from other spellcasting classes, several domains provide them. If you’re considering War Caster, options like Booming Blade combine well. Shillelagh and Shape Water from the Druid spell list also have a lot going for them. Martial Adept: Not useful enough with only one superiority die. Medium Armour Master: Trickery Clerics who can’t afford to bump their Dexterity past 16 may prefer to stick to Medium armour instead of dropping to light, so this will help with both Stealth and your AC. Mobile: Clerics aren’t terribly mobile in combat. Moderately armoured: You have this already. Mounted Combat : It’s hard to play a mounted character without a special mount ability of some kind. Observant: Clerics already have high Wisdom, so Perception is a really great option. Polearm Master: Those who use martial weapons or Nature druids will really love this. Others can pass. Resilient: This is to become proficient in con saves. If you have a lot of concentration spells that you like to cast you may really want this. Ritual Caster: The only benefit for you is that you can cast rituals of spells that are not on your spell list. (you can choose another class.) There are much better options. Savage Attacker: This isn’t a great feat. The largest damage die (d12), yields an average of 2 extra damage per turn. Sentinel: Melee Clerics can be very effective, especially once you get abilities like Divine Strike, so your opportunity attacks can be very lethal. However, you’ll probably do better with War Caster. Sharpshooter: Clerics generally don’t need ranged weapons. Shield Master: You should be saving your Bonus Actions for spells, and you’ll use the Attack action very rarely as you grow in level. Skilled: Some Clerics already get a lot of skills, and if your abilities are set up to support a wide set of skills, you can benefit a lot from gaining extra skill proficiency. Skulker: Sniping is for Rogues. Spell Sniper: Very few Cleric spells require attack rolls. Tavern Brawler: You should be saving your Bonus Actions for spells. Tough : Considering that you can heal yourself magically whenever you need to, there’s very little reason to invest so heavily in an enormous pool of hit points. War Caster: Many Clerics, especially heavily-armoured Clerics who like to wade into melee, can get a lot of use out of this. Advantage on your Constitution save to maintain Concentration goes a long way since many great buffs require Concentration. Weapon Master: You get all of the weapon proficiency that you need to function. I’m going to leave some of the finer points of multi-classing up to the individual though, especially anything that takes away from the character being majority Cleric. Bard: Charisma is your dump stat and you don’t need the Bard spells. Stick to talking with Gods and not men. Druid: Shares WIS as a spellcasting ability. Dipping in for Goodberry as a Life Cleric can be somewhat broken depending on your DM. Fighter: A level or two of fighter might be a good choice, depending on your build. Fighting Style is always great, and Second Wind allows you to heal yourself a bit without cutting into your spell slots. Action Surge is especially tempting, as it opens up the possibility of casting two spells in the same turn. Remember that if you cast a bonus action spell you can only cast cantrips with your remaining actions, so in a turn when you plan to use Action Surge be sure to cast two spells with a 1 action casting time. Monk: An excellent choice for a Dex build, it allows you to use Dex for Domains like Life or Nature that would normally go Str. Paladin: CHA being the spellcasting ability makes this a poor match. This is a decent way to pick up martial weapons and a fighting style, but perhaps not as good of a dip as Fighter. Rogue: One of the handful of ways to make Trickery Domain useful would be to start with a couple Rogue levels. There’s not much else on offer though. Read our 5E Rogue guide if you want to learn more. Sorcerer: One level for Draconic Resilience might be okay for a Dex build, if you’ve got nothing better to do, but you’re probably better off with Monk for that. Warlock: Unless you’re going after something specific, it’s probably best to avoid this one.